You’ve never truly experienced anything as it truly is. Everything you’ve experienced has been subject to your senses. If a tree falls in the forest it doesn’t make a sound, even if someone’s around. It creates waves of air pressure and your brain and ears interpret it as a particular sound. The pressure waves themselves have none. Furthermore you have no proof that anyone else in the world is capable of thought. They could simply be pre-programmed AI for all you know since you’re incapable of sensing their consciousness. 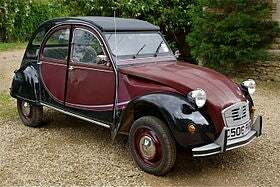 Lastly anyone who posted about existentialism without posting a French car is WRONG!